Toby wasn’t nervous about the blood test, they were a right of passage, simply a sign of growing up. He wasn’t scared when he saw the strange van parked outside of his house, he wasn’t even scared and he entered his house to see strangers holding back his Mother and she screamed at him to run. Only as the strangers guided him into the back of the van did he realise what was happening and yelled for his Mother’s help. Identified as one of the ‘infected’ Toby was taken to a grand house on a remote island where he and other sufferers could be both educated and treated. Toby was one of the older residents yet watched as younger residents became ill. He soon learnt that no one left the house. When symptoms started to show the sleeping child was simply taken in their sleep by the nurses to the sanatorium on the top floor of the house and never returned. The children separate into groups, find their rank in the pecking order and do what they can to keep themselves occupied, then new arrivals appear and everything changes. Having read and adored Sarah Pinborough’s The Language of Dying (even if it did leave me a sobbing mess) I was really looking forward to The Death House. It only took a handful of pages to become absorbed in Toby’s claustrophobic life, leaving you desperate to know more about the ‘illness’ that has torn him from his home. You follow him and his small group of friends as they struggle on together and turn on each other in equal measure. Religion helps some yet isolates and offends others, romance blooms but causes jealousy and illness that unites them, also causes them to turn on one another. To simplify it, The Death House is a tale of love, friendship and survival, yet with Pinborough’s dark, haunting writing style it becomes much more. 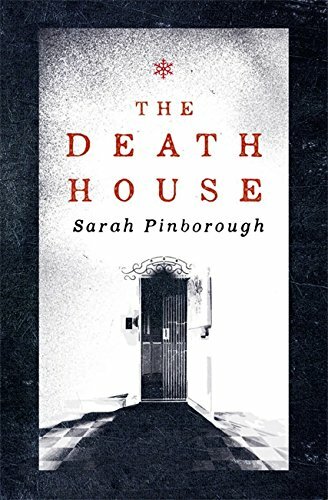 The Death House is a beautifully written novel that lingers with you long after you finish reading and deserves to see Sarah Pinborough ride high in the top sellers.